Hello, I need to design a Logo for my company, please. 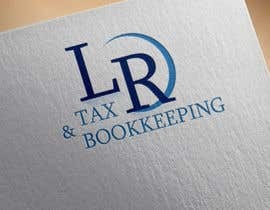 The name of the Company is: LR Tax & Bookkeeping. I need the Logo and also a nice spelling of the LR Tax & Bookkeeping, and also a Header design for my website. 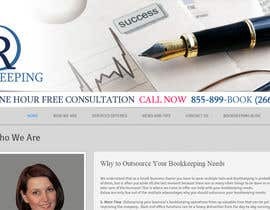 My website is www.lrbookkeeping.com. Please see attached a picture of the header that I need to change and make it look better. Please feel free to ask me questions if further clarification is needed. P.S. I like the Navy Blue as color of choice. You decide how to use it and combine with other colors, so they both match and complement each other - Logo and website header. The header I would like to be an accounting related picture, stay within the same theme that I currently have on the website. These are just suggestions, you are the artists, feel free to browse my website for color ideas and to stay within the same theme, so everything matches. I am posting some samples to my project, just to give you an idea what I like and what I expect. In no way I am suggesting that these samples should be copied! These are posted just as a reference point! !